Internal Urethrotomy India offers information on Internal Urethrotomy in India, Internal Urethrotomy cost India, Internal Urethrotomy hospital in India, Delhi, Mumbai, Chennai, Hyderabad & Bangalore, Internal Urethrotomy Surgeon in India. What is int ernal urethrotomy? 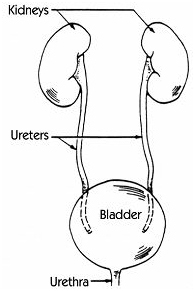 In this procedure, the strictured area in the urethra is incised using a sharp knife. (aspirin, coumadin, plavix, percentine, lovenox or Vitamin E). We will explain the procedure to you and offer you the opportunity to ask any questions that you might have regarding procedure. You will be asked to sign a consent form that gives your permission to do the test. Read the form carefully and ask any questions if something is not clear. You may be asked to remove some clothing and you will be given a gown to wear. You will be positioned on the examination table. You will be seen and evaluated by our anesthesia staff. An intravenous (I.V.) line will be inserted in your arm or hand. You will receive an I.V. Sedative or anesthetic, depending upon your specific situation. Your heart rate, blood pressure, breathing and blood oxygen level will be continuously monitored during the procedure. After the procedure, once your blood pressure, pulse, breathing and oxygen saturation are stable and you are alert, I.V. line will be removed and you will be sent home in custody of your family members or friends. The patient was given spinal/general anesthesia, placed in the Lithotomy position and then prepped and draped in the usual standard sterile manner. A cystoscope was then gently placed into the urethral meatus and the length of the urethra inspected. A strictured area was noted in the bulbous urethra amenable to DVIU. The urethral meatus was dilated to 30 French sequentially with Hagrow urethral dilators. A DVIU scope and sheath were placed into the urethra and the stricture was incised under direct vision using a clod Collins knife. The entire depth of the stricture was incised until consistent bleeding occurred from the site. After the DVIU an 17 French cystoscope was passed beyond the strictured area and the remainder of the urethra was inspected. No further lesions were noted. A general cystoscopy was performed. The veru montanum was in normal position and the lobes of the prostate where identified. The bladder neck and trigone were noted to be normal. The ureteral orifices were noted bilaterally to efflux clear urine. A systematic inspection of the bladder was completed. There were no obvious lesions. The bladder was drained and the scope was removed under direct vision. An 18 French Foley catheter was placed without difficulty and secured to the leg. Patient was then awaken from anesthesia without complications and transferred to the Recovery Room (RR). The patient arrived to the RR in stable condition and without complications. The specific risks of this procedure include, but are not limited to: prolonged urethral catheterization, urethral diverticulum, urethral abscess, recurrence of the stricture, future alternative procedures for failures, prolonged dysuria, penile pain and impotence.